Dry Type Cast Resin Electrical Power Transformer with Low voltage, medium voltage and High voltage power range and in all their shapes and model of applications. Established in 1999, the Saudi Electrical Transformers Factory (S.E.T.F) implanted its main manufacturing plants in the fourth zone of the industrial city of Jeddah. 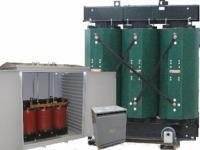 The original production line was designed to manufacture low voltage home appliance auto-transformers. Soon the outstanding quality of SETF products imposed itself as a standard benchmark in the world of auto-transformers as it also gave the company momentum to expand into newer and more diversified products. The first 500 kVA low voltage power transformer to be manufactured by S.E.T.F rolled out in 2000 as this marked the first in a series of expansions that led the company to become one of the major dry-type manufacturers in the MENA (Middle East, North Africa) region. The year 2001 marked yet another milestone for S.E.T.F as the company designed, manufactured and delivered its first Medium Voltage, dry type power transformer. The particularity of this event was that for the first time a transformer was completely manufactured using local expertise and processes only.